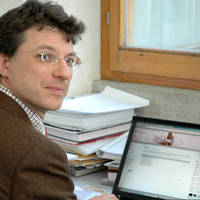 Yuri Kazepov is the Italian partner of the INSPIRES research programme. ''INSPIRES addresses a challenging topic and I look forward exploring the resilience of labour markets as an opportunity not only to get new insights on the underlying processes, but also to facilitate the exchange views, practices, successes and failures. What I am interested in particularly is how to kick-off processes of institutional learning''. Yuri Kazepov studied political science (MA) and got his PhD in Sociology at the University of Milan (Italy). He currently teaches Urban Sociology and Compared Welfare Systems at the University of Urbino (Italy). He has been Jean Monet Fellow at the European University Institute (1995-96) and visiting professor at the Universities of Bremen (1998), Lund and Vaxjo (2008) and Leuven (since 2012). He is a founding member of the Network for European Social Policy Analysis (ESPAnet) and the president of RC21, the Research Committee on Urban and Regional development of the International Sociological Association. His fields of interest are urban governance, citizenship, social policies in compared perspective. On these issues he has been carrying out comparative research and evaluation activities for the European Commission (DG Research, DG Culture, DG Employment) and many National Agencies (NWO, Nicis, FTSE, CNR). He has been international coordinator or partner of many EU projects (e.g. EUREX (Minerva) E-Urbs (Virtual Campus) URBEX (FP4), GOETE (FP5), IMPROVE, INSPIRES, DIVERCITIES (FP7). Among his publications we have: (2005) Cities of Europe. Changing contexts, local arrangements and the challenge to social cohesion, Blackwell, Oxford (ed. ), (2010) Rescaling social policies towards multilevel governance in Europe, Ashgate. Eduardo Barberis studied Sociology at the University of Urbino Carlo Bo (Italy) and in 2007 got a Ph.D. in Urban and Local Europan Studies at the University of Milano-Bicocca (Italy), in the frame of the Research and Training Network UrbEurope. Presently, he holds a post-doc position at the University of Urbino Carlo Bo, where he also lectures on ''Immigration policy'' and is member of the evaluation body active in quality management. His research interests span different subjects in the fields of economic and urban sociology, including the local dimension of social policy, labour migration and immigration policy. He took part in several national and international research projects (including ''Rescaling of Social Welfare Policies'' and Goete ''Governance of educational trajectories in Europe''), publishing extensively articles and chapters on these issues. Among the most recent publications, Il welfare frammentato. Le articolazioni regionali delle politiche sociali in Italia [A fragmented welfare. Regional differences in Italian social policy], edited with Yuri Kazepov (2013), and Social assistance governance in Europe. Towards a Multilevel Perspective (with Y. Kazepov) in I. Marx and K. Nelson (eds. ), Minimum Income Protection in Flux (2012). Francesco Frattograduated in Political Sciences (MA) at the University of Florence in 1999, took his PhD in Sociology in 2007. He is contracted professor of Sociology of Organizations at the University of Urbino since 2008. At the University of Urbino he have also taught Economic Sociology and Sociology of Work. He is currently post-doc fellow in Sociology at the University of Urbino. 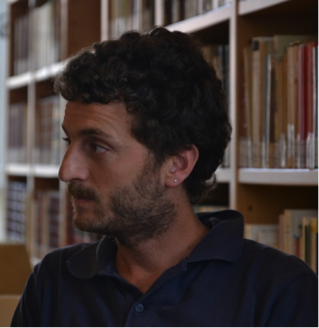 His research interests mainly include economic, organization and sociology of work, with a focus on local economic development, on governance processes, and on the development of the South of Italy. Among his publications: ''The third sector and the welfare system in Toscana'' IRPET, Firenze 2004;The inventions, in F. Ramella e C. Trigilia (Eds), Inventions, Inventors, Territories in Italy. Report 2009, Bologna, Il Mulino, 2010. Vittorio Sergi graduated in Philosophy at the University of Bologna (MA) with a thesis in Cultural Anthropology in 2002. In 2007, he got a Ph.D in Political Philosophy at the University of Naples ''L'Orientale'' and a Ph.D in Sociology at the Autonomous University of Puebla - BUAP (Mexico). Currently he is a post-doc fellow in Sociology at the University of Urbino and works as Project coordinator for the FP7 Coordination Project SEFIRA. His research interests concern social anthropology of power, governance and social change in southern Europe. 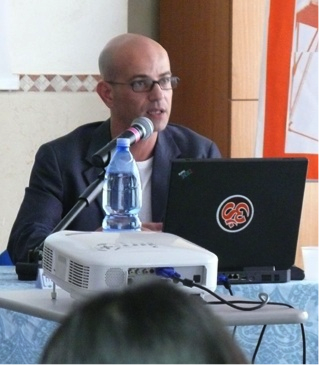 Among his publications: ''Ethnographic notes from the Tunisian uprising'' in Etnografia e Ricerca Qualitativa, IV, n.3, September-December 2011, pp. 425-443 and ''Think globally, act locally? Symbolic memory and global repertoires in the Tunisian uprising and the Greek anti-austerity mobilisations'' with Markos Vogiatzoglou in Flesher Fominaya C., Cox L. (coord.) Understanding European Movements: New Social Movements, Global Justice Struggles, Anti-Austerity Protest, Routledge, New York, 2013.